Is a year and a half worth the wait? Variable refresh rate monitors with high refresh rates are still proliferating throughout the market, but 4K UHD monitors with low latency and quick refresh rates have been notably absent. Following a meeting with Product Management Lead for Nvidia G-Sync, there has been confirmation that 4K 144Hz G-Sync-enabled monitors with HDR will be launching within the next few weeks. An unspecified production problem has lead to the lengthy delay. It is likely that some important step in the manufacturing process had to be re-engineered to be able to turn out a high volume of quality displays. None of Nvidia's partners have been willing to confirm pricing for their upcoming premium monitors. However, Nvidia's Product Management Lead Vijay Sharma did comment that getting 4K 144Hz with G-Sync and HDR will "certainly be over $1000." 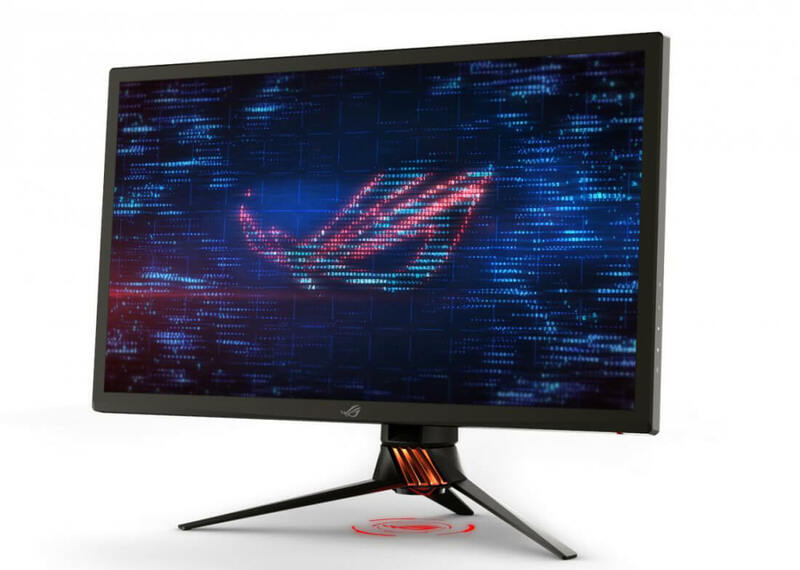 Asus will be launching the PG27UQ while Acer has named their 4K 144Hz G-Sync monitor the X27. One positive note is that Nvidia is requiring all partners using the term HDR to ensure their monitor can reach a peak brightness of 1000 nits. Even though some products carry the HDR moniker, that does not guarantee that the display is capable of providing a proper HDR experience if the variance in image characteristics is not easily seen. Finally, Nvidia has also mentioned that their Big Format Gaming Displays (BFGDs) are still on track to ship by the end of this year. No information beyond that was given, but it would be logical to assume that the green team will do everything in their power to ensure that BFGDs are available before the winter holiday shopping season. Using FreeSync with Nvidia GPUs: How Well Does It Work?